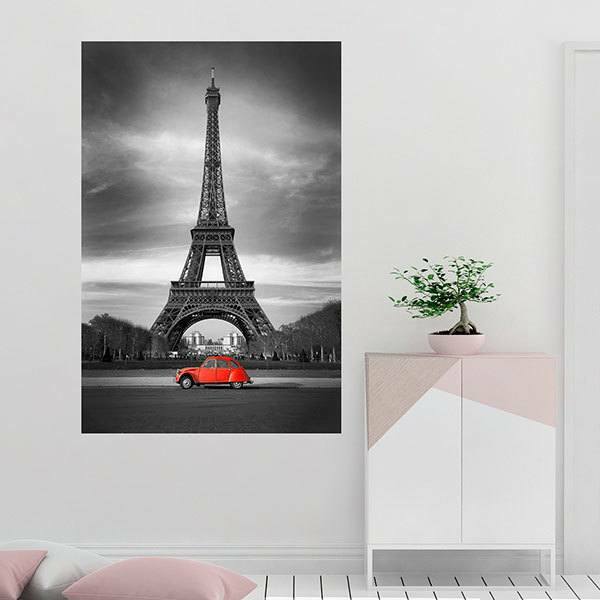 Adhesive vinyl poster Car in front of the Eiffel Tower. 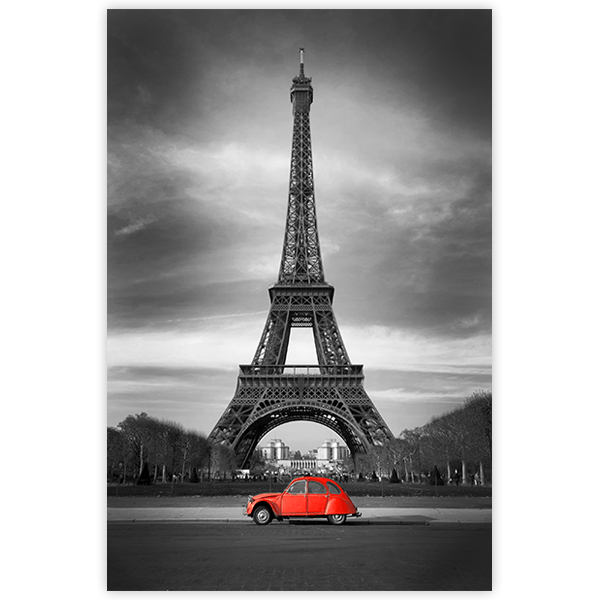 Black and white photograph of the Eiffel Tower with an old red Citröen parked in front. Fabulous vertical image where the intense red color breaks with the harmony of whites and blacks of the rest of the photograph. Ideal for any wall. 10.63 x 15.75 in. 12.99 x 19.69 in. 15.75 x 23.62 in. 18.11 x 27.56 in. 20.87 x 31.50 in. 23.62 x 35.43 in. 25.98 x 39.37 in. 28.74 x 43.31 in. 31.50 x 47.24 in. 33.86 x 51.18 in. 36.61 x 55.12 in. 39.37 x 59.06 in.